Kosmic Racing Department’s second official seasonal engagement will be on the track which has been hosting the traditional international race for more than 20 years. 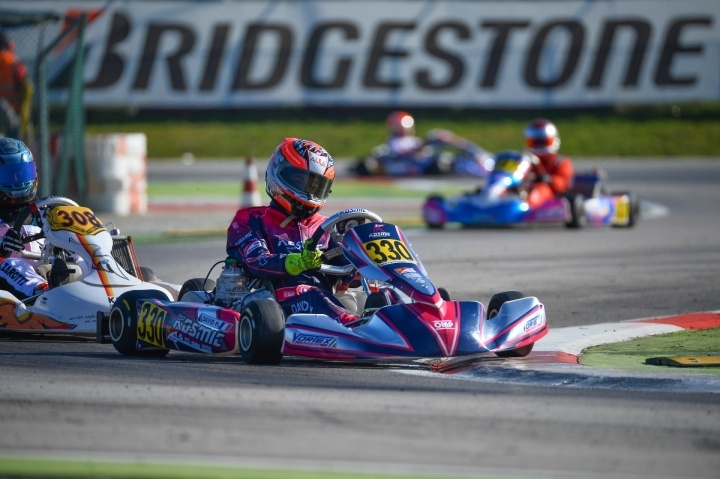 The Winter Cup, historic one-shot competition included in the international karting race calendar, has always been an excellent test bench for checking the technical development of the material as well as the competitiveness level of the drivers. The track, often the seat of the winter test sessions of the major manufacturers, allows all competitors to express at best their potential of the beginning season. This year theentry list has over 300 entries in the four categories. The OKJ, OK and KZ2 will be represented by the Kosmic Racing Department. In OKJ class, Rafael Camara and David Hadrien will have to face the other 88 applicants in an attempt to gain the final victory. Roman Stanek and Viktor Gustafsson will be at the starting grid of OK class while in KZ2 we will have Oliver Rasmussen and Axel Bengtsson. All, of course, at the wheel of the Kosmic Mercury Schassis.